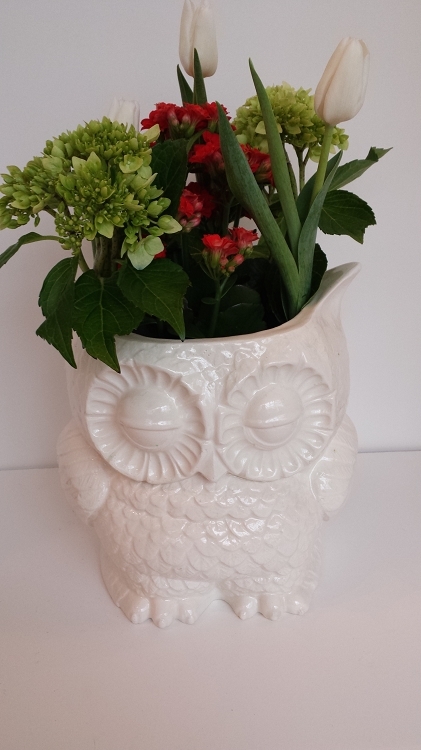 White Ceramic Owl Canister or Planter Home Decor Vintage Design Size is 8" high x 7.5" wide 6.5" deep, This Owl canister has many uses! Shown in white. 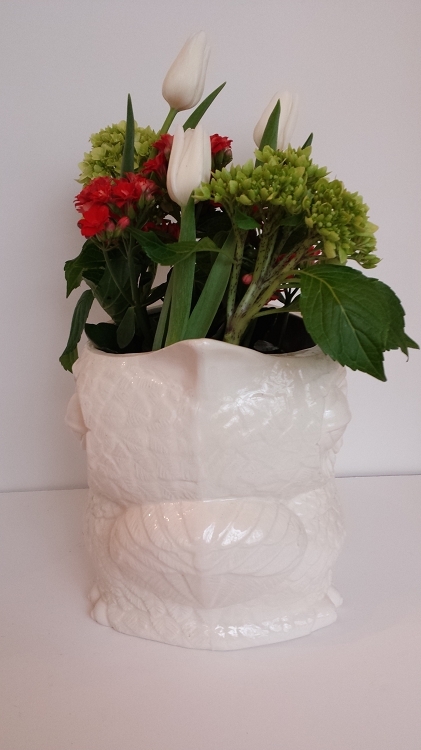 You will love this for your kitchen or simply as home decor, or as a planter too! Shown with a 4 inch little flowering plant. Available in your color choice too..contact me for a color chart. This may take 5 days to ship.Please let me know if you need sooner. It also comes in a 4 piece cookie jar set see my other listings. I pour this from a vintage ceramic mold, clean it, then fire to bisque, then glaze with the color and fire again~ All details and Its feathers are on both sides..on front and back, It also could be used as flower vase or as shown as a utensil holder.